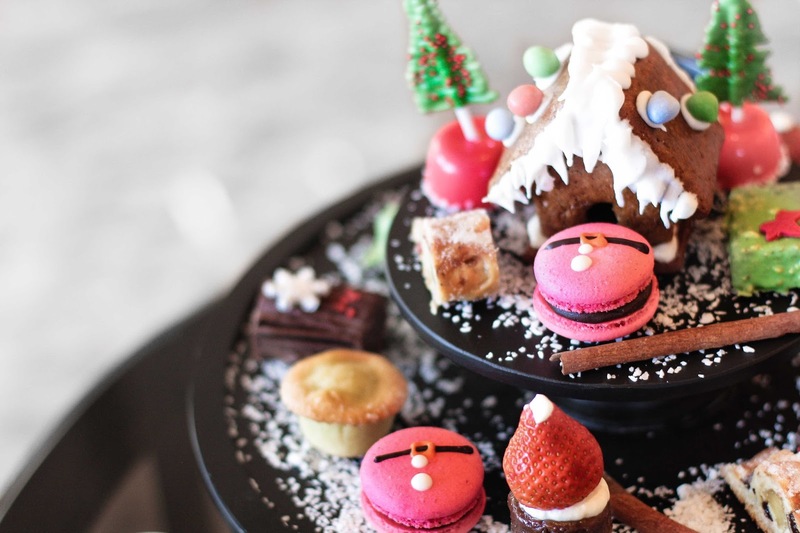 As holiday drawing near, there are many restaurants and hotel offering different Christmas set menu. 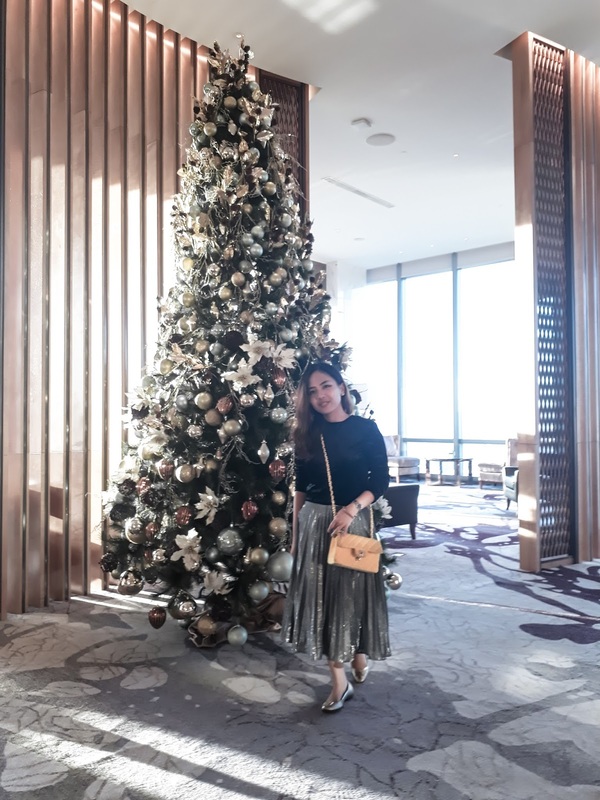 On one nice Saturday, we had a chance to try the Christmas set menu at Westin Jakarta. 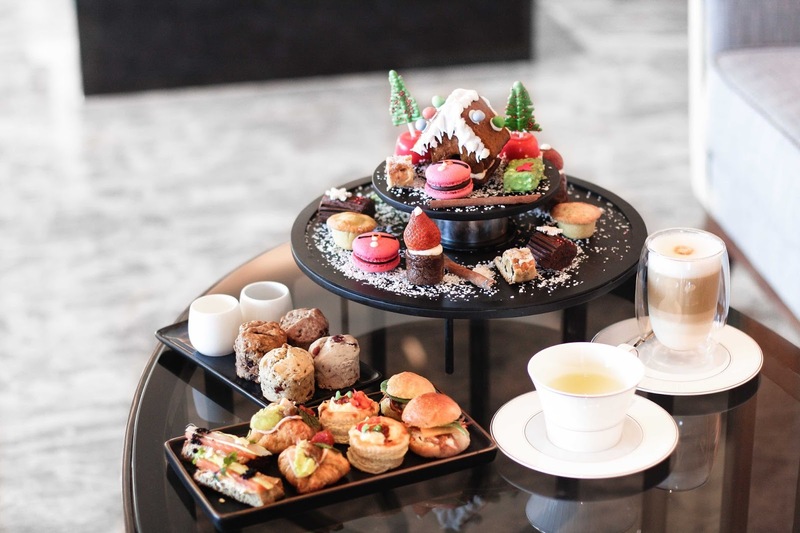 Perched on the 52th floor, the Lobby Lounge offers the bird-eye view of Jakarta's CBD. The portion was huge and was enough for 2-3 people. 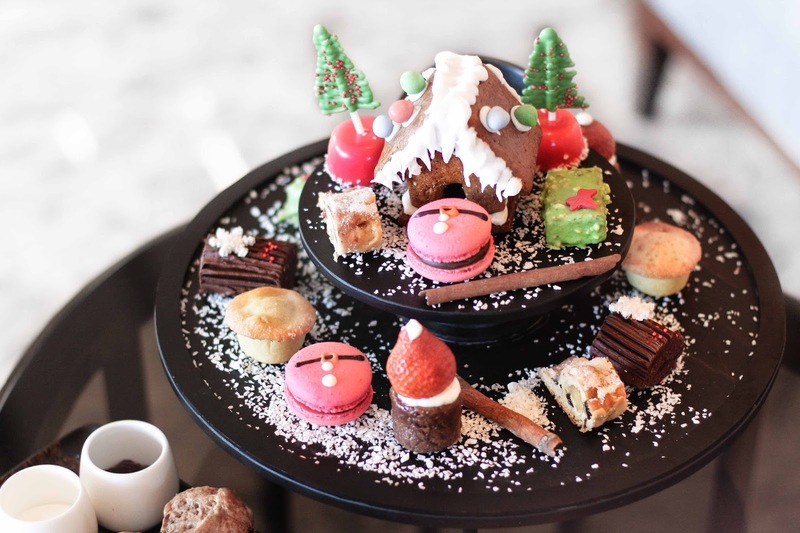 The Christmas set menu came in two-tiered assorted cookies and sweet as well as a platter of scones. We each get a cup of coffee and tea along. We ordered an additional mineral water to complete it. It costs us around IDR 550.000 for this set and drinks. 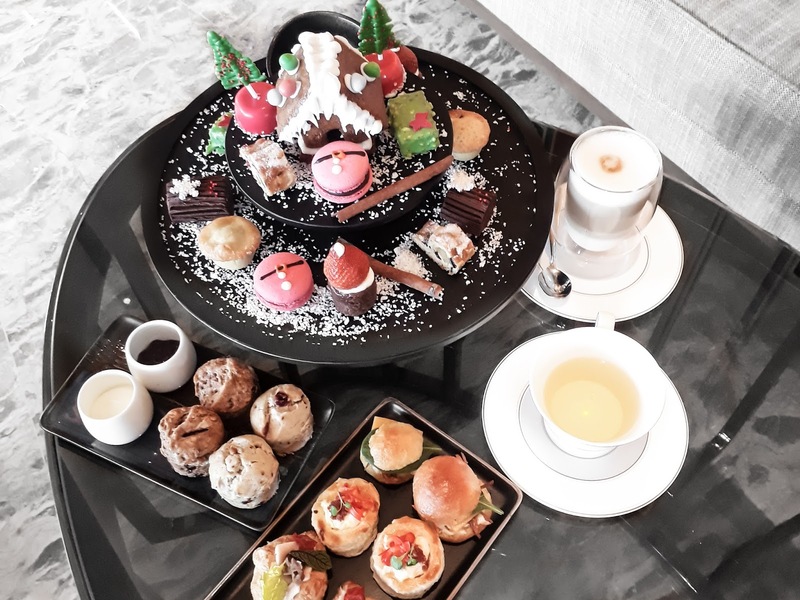 Overall we love the savoury selections and the macaroon, but the sweet cakes and scones were pretty much so-so.